Any truth in the rumour that the wee rose have been tapping up a couple of your players? And who would they be? Would imagine Ross Gray and Louis Swanson might be the players in question with both likely frustrated at the lack of starting berths they've seen this season. I also understand that Kelty are interested in Kyle Wilson. Cup games starting to back up a little now, wonder if we'll see the games away to Sauchie and Tynecastle being moved to midweeks to accommodate. The Tynecastle game might be a good one to move from a Saturday afternoon anyway, as Scotland are playing Ireland along the road at the same time! Plus Boroughmuir don't have any home games until 2nd March. Well that is some result today at a notoriously difficult venue. Can’t remember if we have scored 5 goals at Sauchie previously. Team played superbly today, was worried we might switch off at 3-0 but it didn't happen. Ross Grey was excellent, think he might have had a wee point to prove to the manager. Wilson looks a good signing for us and makes sense for you guys to get a bit cash for him rather than nowt at the end of the season. Has he been playing directly up top or in a wide position for you? Good to see Kelty helping out the wee teams by contributing towards their ground improvement funds. I'm not sure how he'll fit in at Kelty, though clearly someone's been watching him and believes he fits in with your system. In my opinion he's at his best up top but think he might struggle against some of the LL defences, he is lightweight and his first touch can be pretty hit and miss. We've certainly had a good return from him and he's scored some cracking goals so he has the ability, its the work rate that might let him down. Just my opinion of course and others may well disagree. C’mon on Rose big game in pursuit if winning Conference B today. Bonnyrigg within touching distance of lifting Conference B now. Although a tall order they could yet win the title round-robin and all 4 'domestic' cups, for a quintuple the likes of Gala, Spartans, Whitehill and LTHV all approached but never achieved, IIRC... in QFs of South Challenge, Last 16 of EOS Qualifying + League, and Last 32 of King cups. 2001-02 ... Spartans won league and 3 cups, lost 1-0 in League Cup Final !! Gala in 1965-66 and Selkirk in 1975-76 won 'domestic' clean sweeps but these were only quadruples (no League Cup then). Eyemouth likely would have in 1958-59 but league was abandoned. Tempted to go to the game v East Stirlingshire now, should be a good one. Any good places to drink at/near the ground? The ground is in the centre of the town, you have a choice of 4 pubs within a few minutes walk, or the social club. The Calderwood is all of 25 feet from the ground and is probably your best bet. 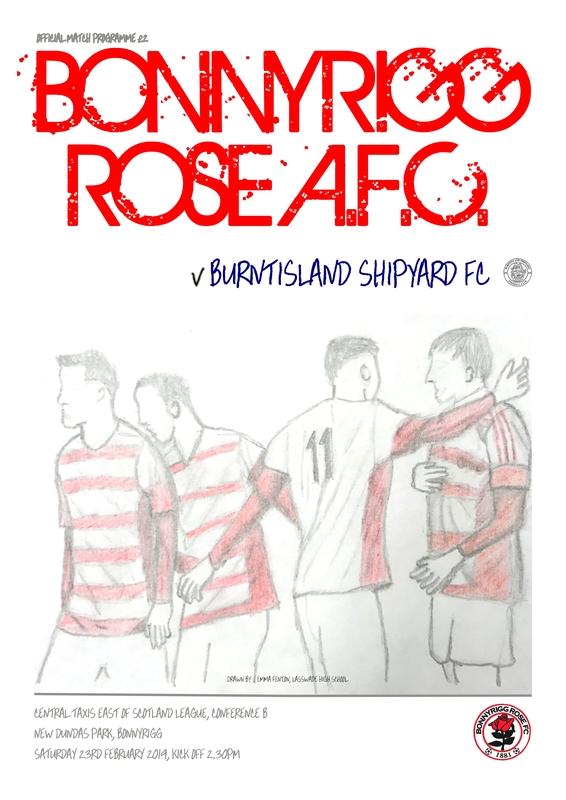 Be assured that Bonnyrigg are not a 1 man team and as usual we take one game at a time. Can’t say I’ve seen The Big Rose play a game of hoofball, is that a game local to Falkirk? I actually got told the same thing by a player from your league. I haven't seen Bonnyrigg this season.